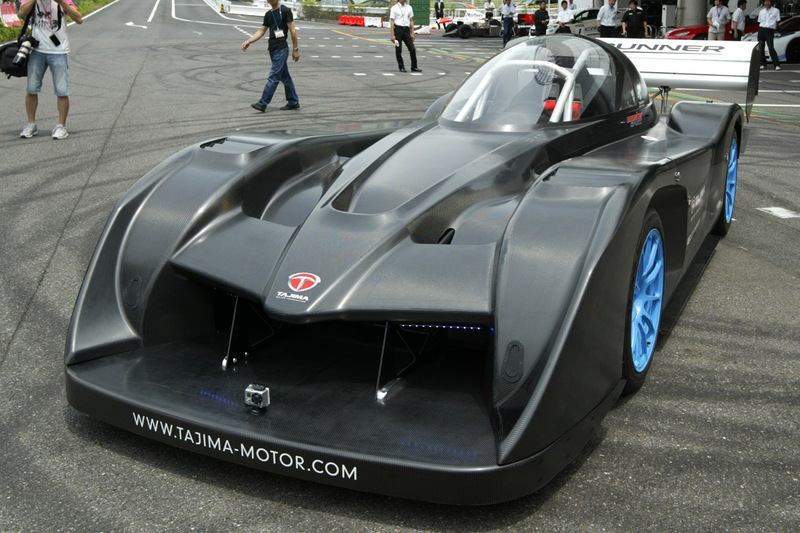 The reigning Pikes Peak Hill Climb champion for the past 6 years, Nobuhiro 'Monster' Tajima, will switch from a gasoline-powered vehicle to a new prototype EV race car to break his own course record. Team APEV (Association for the Promotion of Electric Vehicles) revealed the electric race they plan to enter in the 2012 Pikes Peak International Hill Climb taking place on July 8th. The EVs powertrain will be AWD with front and rear in-board axial flux electric motors driving each pair of wheels via a differential. Although the entire 12.4-mile 156 turn Pikes Peak course is all tarmac for the 2012 event, it will still be quite an achievement for an EV to break the current sub 10 minute outright course record and it will need to show a more impressive turn of speed than demonstrated in the video.